If you’ve ever had a panic attack, you know how scary it is. You’re sure you’re going to faint, freak out, or even worse. It comes on suddenly. The feeling starts in your body. Your heart feels like it’s going to burst. Your chest hurts, and your knees are weak. That’s when your mind goes into hyper mode. What is happening to me? What is this? OMG!!! Arghhh! And that’s when the real panic sets in. Your body calms down. Your heartbeat returns to normal. You take a full breath. Yes, I’m ok. Whew!! But, what was that? What just happened to me? That’s when your mind takes over. Say hello to your new companion: F-E-A-R. It follows you everywhere and doesn’t leave you alone for a minute. You become afraid of everything: taking a long walk, driving in traffic, elevators, airplanes, and travel of any type becomes paralyzing. Anxiety tortured me for several years. But I fought my way out of that dark hellhole and learned a lot from it. After lots of CBT (cognitive behavior therapy), virtual reality treatment, and practice with desensitization; I was free. It was hard work. Lots of self-talk, self-help, and self-care; but I did it. You can too! 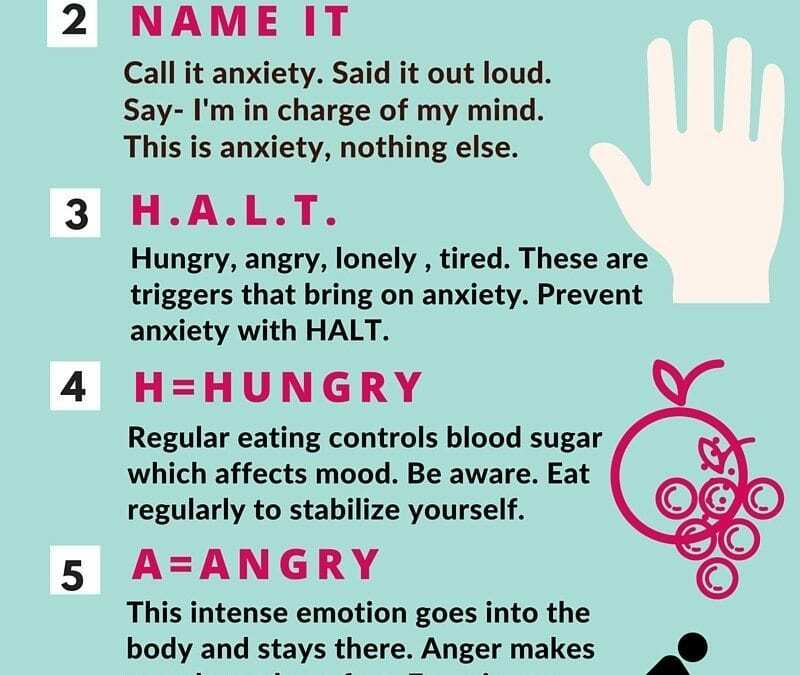 Become familiar with your anxiety triggers. Practice these exercises. You too, can heal yourself. Perhaps I have found a Friend, some answers and a direction. Grateful….Hope You are out there!!! Looking forward to my new connection…. Yes, I am here! You are not alone. Thanks for checking in and saying hi!